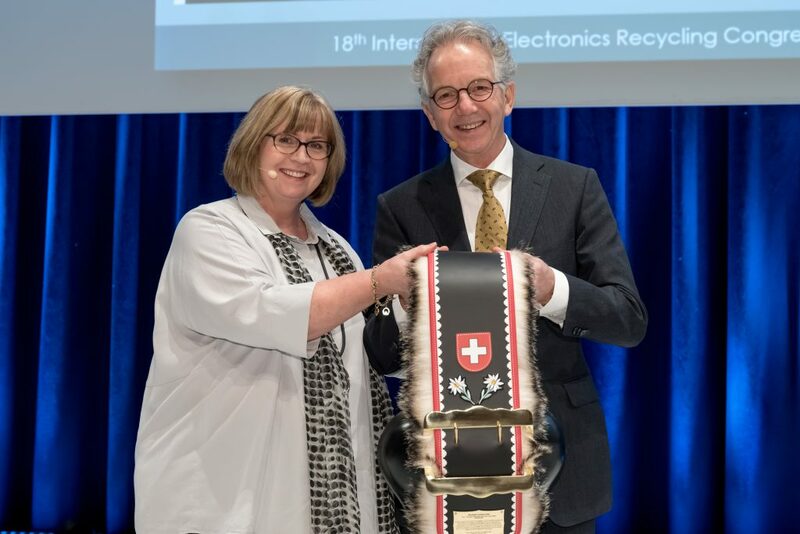 So said Norbert Zonneveld, founder and former executive secretary of the European electronics recyclers body EERA during the latest International Electronics Recycling Congress (IERC) in Salzburg, Austria. He also said it was crucial to have a realistic view on the circular economy, which can certainly create more jobs but cannot be realised without higher costs. ‘We know from all the alarming signs in nature and in our civil society that it is necessary to be far more innovative in our thinking and in our actions. Norbert Zonneveld stepped down as frontman of EERA on 1 January. At the Salzburg conference he received the IERC Honorary Award, which is presented each year to inspirational figures and leaders from the recycling sector. The full IERC conference report will be published in the March/April issue of Recycling International.